I am very pleased & excited to announce that MCRRC has contracted with RunSignUp as our new registration & membership database provider! We are confident that this partnership will create a much more efficient & easier to use platform than we have ever offered before. As with any significant change, there are steps that will require action on both the part of our staff and by you – our members. We ask that you please read this message carefully & in its entirety. Effective immediately, any NEW MEMBER joining MCRRC will be doing so via the RunSignUp platform – we are in the process of updating all links on our website. Effective Monday, Jan. 21st, we ask that no renewals be conducted via imATHLETE.com & that NO CHANGES BE MADE TO YOUR MEMBERSHIP. For this reason, should your membership contain a January 2019 expiration date, we will be extending your expiration date to February 15th. 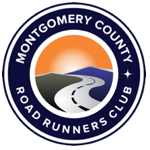 Around Wednesday, Jan. 23rd, you will receive a message from RunSignUp asking you to “claim” your MCRRC membership. Please note that this message IS legitimate and you will need to follow the instructions contained therein. Due to the poor quality of some of our existing membership data, only those marked as “head of household” will receive this message & be imported into the new database. If you have a Primary + 1 or a Family membership, part of your task will be to re-enter each of your family members into your record. We apologize for this extra step, but it is necessary to ensure our new database contains clean data & functions properly. Additionally, you will receive another message from me containing a step-by-step guide to help you through the above process. If you fail to receive any of these messages, please contact me at office@mcrrc.org so that we can assist you. We ask kindly that you do prioritize completing the steps mentioned above so that you can continue to enjoy membership benefits & receive important renewal notices, mail & other alerts. We would like to have the database complete by the following Thursday, Jan. 31st. And lastly, we ask for your patience during this transition. While we don’t anticipate any major hiccups, there will always be some when implementing changes of this magnitude. Our staff & the tech team at RunSignUp are here to help as best we can. For the next several months, we will be focued only on the transition of the membership database & learning its functions. The transition for race registration and training program signups will follow in the second half of 2019 and into 2020. Please understand that this controlled timeline has been established so that our staff can continue to handle daily tasks and because we are putting great care into this transition. Anything done right, is not done quickly. Thank you again for your patience – please keep an eye on your e-mail for forthcoming instructions and we look forward to this exciting improvement to our operations.